What was the first thing you did after moving into your new apartments near Medical Center? If you’re like a lot of people, you probably sat on the ground and ordered pizza because you hadn’t yet had time to go to the grocery store. We romanticize the feel of a new, empty apartment, but it’s not exactly the most comfortable place to hang out. You know what is comfortable? A sofa with an ottoman in front of it, or an overstuffed chair in the corner of your room. 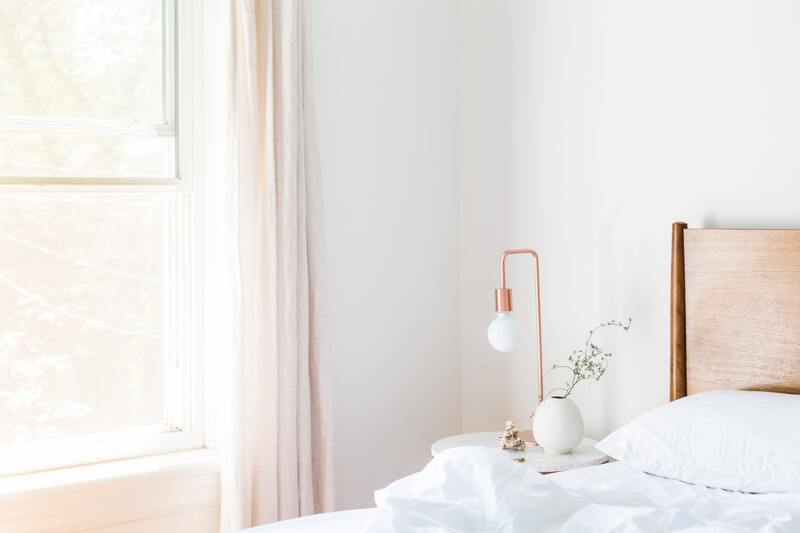 There are a lot of different ways to furnish your place, but there are a few general rules that you should follow if you want to ensure your place looks good and feels comfortable. We’ll talk about some of those rules in the blog post below! Our hope is that after you read this post, you feel like you have the knowledge you need to create your ideal living space. Let’s get right to the list, shall we? Oh, and when you’re done reading through it, please be sure to share the link to this page with your friends and neighbors at your community of apartments on Almeda Rd. You don’t have to fill your apartment with the perfect furniture all at once, and there are two reasons for this. First of all, your tastes will change over time as you settle into your place. You might find that you like a cozier environment, or you might discover that your preferred seat is on the comfy chair in the corner, not the couch. Second of all, new furniture is expensive. We recommend that you buy a mix of new furniture and used furniture at first. After a few months — and a few more paychecks — you can replace the used furniture with newer pieces. The lighter and brighter your apartment, the more spacious it will seem. If you want to live in a cave-like apartment, that’s your prerogative. Most residents prefer an apartment that seems open and airy, however, and bright colors help you achieve that look. Don’t be afraid to add bright greens, yellows and blues to your apartment! The cave look is overrated anyway. When you live in an apartment, modular furniture is your friend. We’re talking about couches that turn into daybeds, coffee tables that transform into desks and tables that can extend or retract. The more modular furniture you have in your place, the more flexible you can be with your furniture arrangements! Plus, you won’t have to buy all new stuff for your new floor plan when you do move. With that, we’ve hit the end of our list of apartment furnishing tips! As always, we greatly appreciate those of you who have been coming back month after month to read all the latest blogs from Stella at the Medical Center. If we’ve done our job this week, you should have a whole list of new furnishing tips that you can put to good use in your luxury apartment. We’ll be back in a couple weeks with another brand new blog post. If you enjoyed reading this week’s blog and you’d like to see the next one right when it goes up on our website, please be sure to bookmark our blog page so you can easily check back in a couple weeks. Until then, you can stay up to date with everything happening at your community of apartments by following us on social media. There’s no better way to ensure you’re always among the first to hear about upcoming resident events, special promotions and giveaways happening at your community of apartments in Medical Center.